This small hotel is very centrally located in a fifteenth century Palace and boasts some original fresco ceilings: the building was the house and property of the famous musician G. Rossini during the past century. 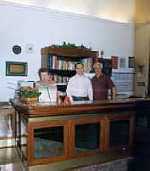 The hotel is managed by the Lombardi family, Armando, Carla and Paolo, who are fluent in several languages and take personal care of their guests. Its location is one of its main features, only 150 yards from Florence Cathedral and 500 yards from the Railway station, close to all museums and monuments. However, it can easily be reached by car, too, and the garage is only 200 yards away. The Siena B&B Hospitality is located over several properties in Siena, Italy, within 50 metres of the cathedral, the National Gallery and Torre del Mangia. The main square of Siena, Piazza del Campo, is 100 metres from the hotel. The nearest metro station is 300 metres away. The hotel is housed in characterful historic buildings in the old part of the town. Wireless Internet access is complimentary, and car hire is available. 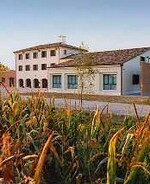 The Siena B&B Hospitality serves a complimentary Italian breakfast daily in the bright breakfast room. 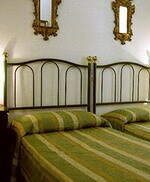 The hotel-owned restaurant La Finestra is located near the Piazza del Campo, and guests receive a discount. Bicycle and horse rental can be arranged on site. There are several hiking and biking trails, and guests can rent scooters in town. Tennis courts are nearby, and can be booked at the front desk. The Duomo, a treasure house of Tuscan art, dates back to 1215 and attracted much interest after a cycle of frescoes by an unknown artist had been discovered in the crypt.